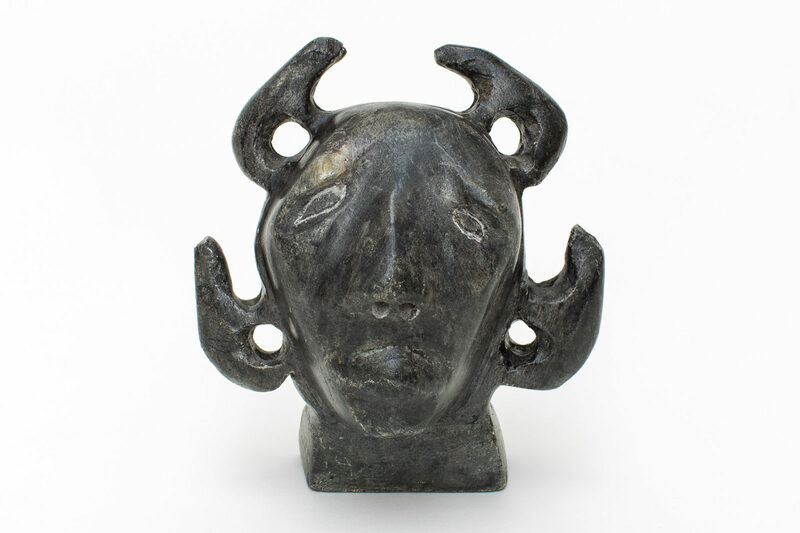 untitled (head with bears), c. 1970's, stone, color medium, 4.25 x 3.75 x 2.75 in. 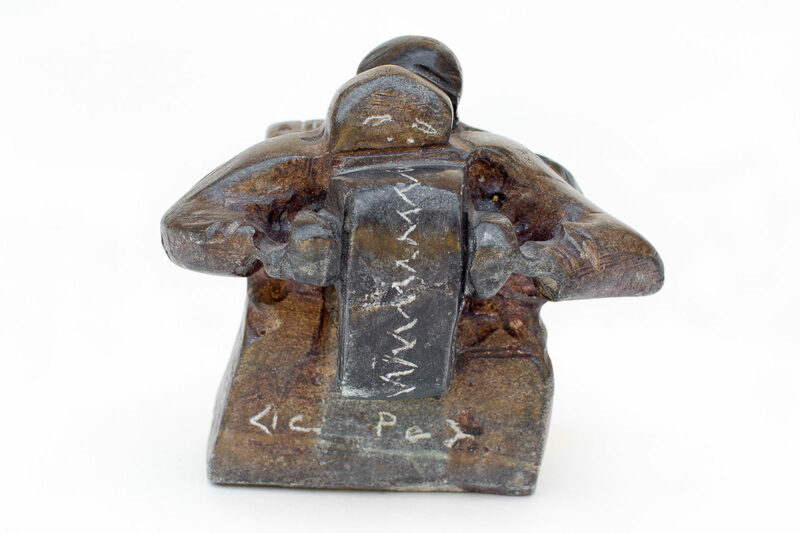 untitled (double-sided accordion player), c. 1970s, stone, color medium, 3.75 x 4.5 x 3 in. 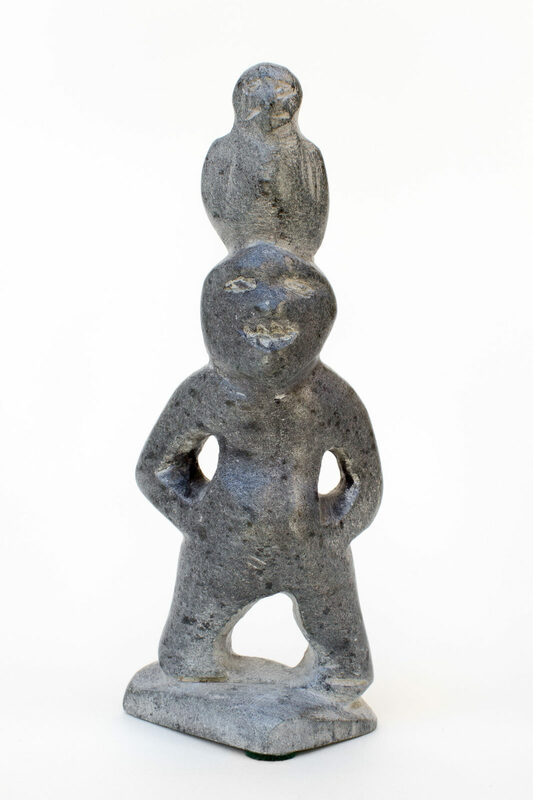 untitled (spirit figure with bird), c. 1970's, stone, coloring, 5.5 x 2.25 x 1.5 in. 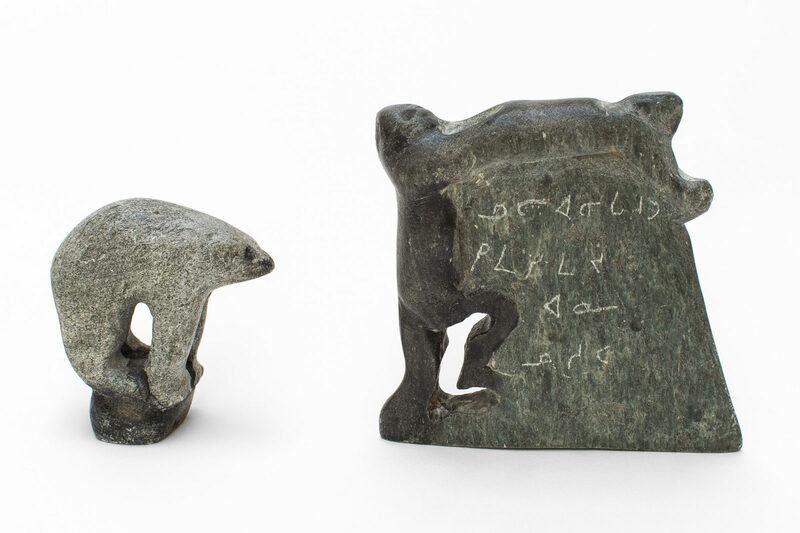 untitled (bear and snow block climbers), c. 1970's, stone, color medium, 2.25 x 2.5 x 1.25 in (bear), 3.75 x 3.75 x 0.75 in. (snow block). 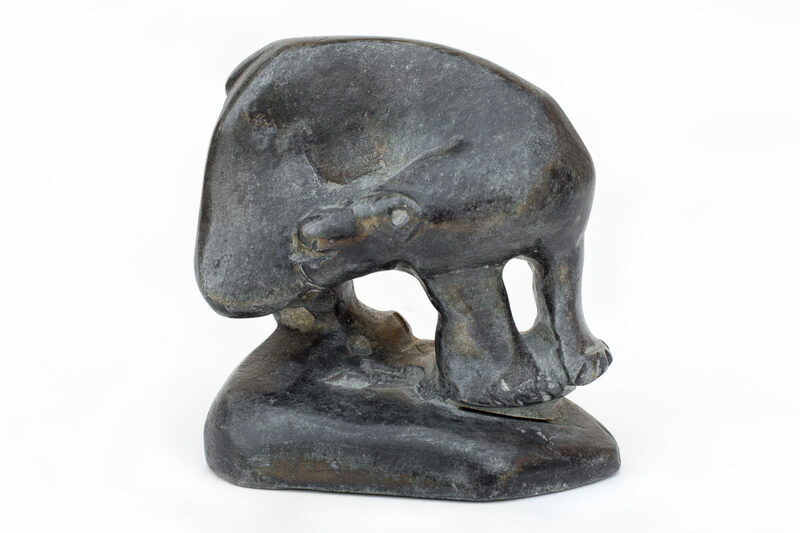 untitled (bear licking foot), c. 1970's, stone, color medium, 4.25 x 4.5 x 2.75 in. 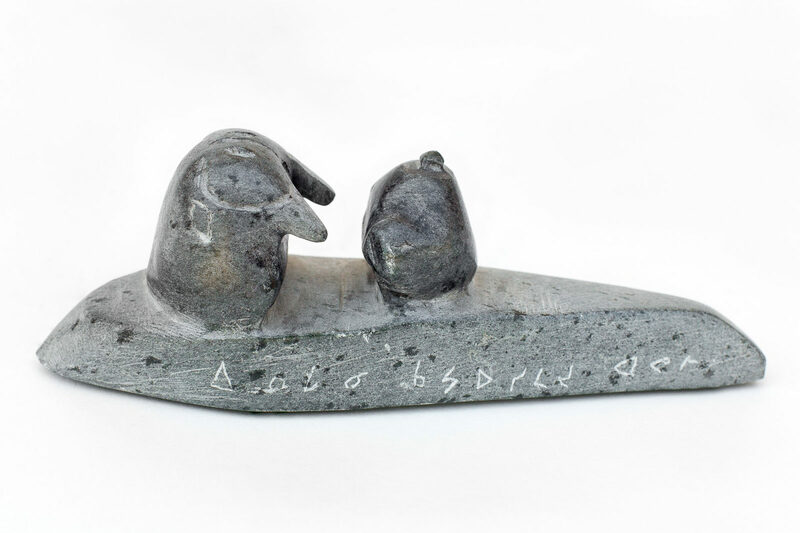 untitled (walrus with walrus float), c. 1970's, stone, color medium, 6.25 x 2.25 x 1.75 in. 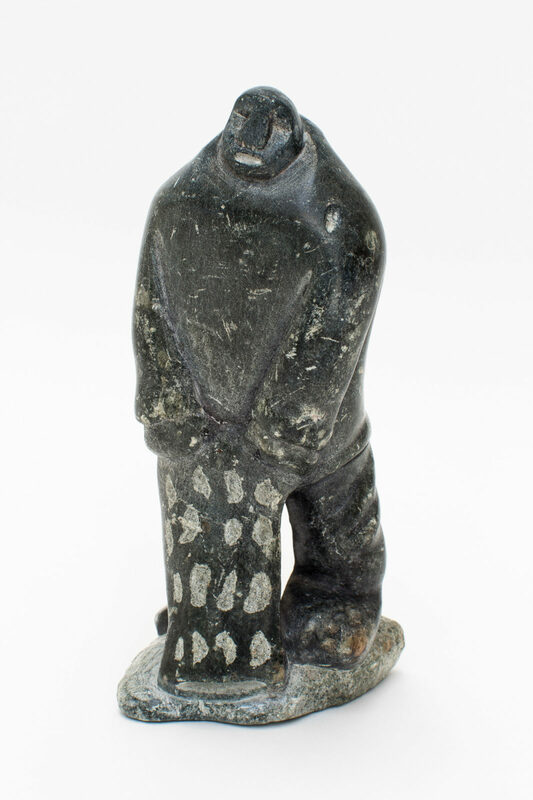 untitled (inuk with seal skin), c. 1970's, stone, color medium, 5 x 2 x 2.5 in. 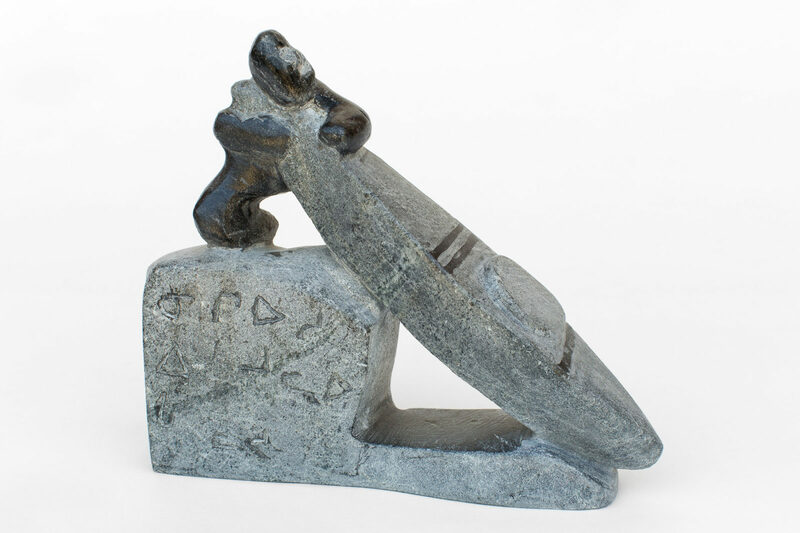 untitled (canoe launch), c. 1970's, stone, color medium, 7 x 6 x 1.75 in.